A weekend of big ascents, heavy rain showers & epic scenery. Well done to all the competitors. It was a tough day for with team facing some interesting route options. Do they take on the big climbs or stick to the meadows and forests. The teams reported that the big ascents and changing terrain made judging the distance they could cover tricky. 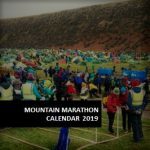 For those competitors who were taking part in their first mountain marathon it was a steep learning curve both literally metaphorically but a positive mental attitude saw them through to the end of day one. The spirit of OMM is alive and well at the overnight camp, in spite of heavy showers and low cloud competitors had a chance to chat with each other, sharing stories of the day over roaring stoves and wet tents. What an amazing weekend!!!! Well done to all the competitors and thank you for making it such an incredible event. Please tell all your friends and running partners so we can grow the event. See you in Switzerland in September next year. Download your FREE images here. My job is it to provide the competitor with a memorable yet achievable challenge, and hopefully something that they can look back upon with fond memories. This obviously has to be reflected in the course and before I design the 4 courses for the OMM, I always reflect what the OMM Alps stands for. The most important thing that sets it apart from the main OMM is – the Alps. This OMM stands for big heights and big views. Naturally, this then includes long climbs and killer descends. I believe the course reflected this quite well. The longest climb of the race was faced by the A course and possibly the Long Score on the first day, climbing up from the Reintal valley to the Schachenhaus, an ascent of around 800 m. While this might not have looked like the cracker of a climb it was on the map, the section between 84 and 34 took the fastest team around 80 minutes with slower teams spending significantly more time on it. I hope the view from the Schachenhaus compensated for some of the sweat. Competitors on the Long Score course on day one needed to carefully consider if they had the physical ability to take in the set of controls on the high ridge in the north before moving through the Reintal Valley towards the finish line. The many teams who incurred some substantial time penalties proved the point that some detailed planning and a good comprehension of ones physical ability can make the difference between a top and a disappointing result. I think this also reflects a major aspect of the OMM. It is not enough to be a strong runner and solid navigator; teams also need to make important decisions about route choice during the race, even if this looks at first like missing out some substantial points. For the B course on day one, the ascent straight after the start to the Eckbauer hopefully gave competitors a similar experience of a long ascent with the wide views of the Werdenfellserland from the top. Apart from designing the course and allocating the checkpoints, compiling the map is the other main responsibility of the Technical Director. Coming from an orienteering background I place great emphasis on a highly detailed and accurate map. Unfortunately, the necessary scale of the OMM map of 1-30,000 always means a compromise between detail and generalisation. Unlike for the 2017 OMM in Austria, the map data available in Germany is very detailed which gave me the base for what I think was a fantastic map, a map that reflected the high standards of an OMM. The Garmisch map not only had all man made features such as the extensive track and trail network accurately mapped but it also showed the “lay of the land” in a lot more detail. With this I mainly mean contour details, but also water and rock features. The available information gave us much more possibilities to find challenging control post locations. The reality of designing a course in the highly developed Alps means that there is a dense network of trails and paths, making navigation easier than say in the trackless highlands of Scotland. For me it was important that navigation was also an important part of the race and that teams who might not be as physically strong but were superb navigators, had an equal chance at winning. In short, a successful OMM competitor in the Alps has to be not only physical strong but also a good navigator. I try to achieve this with the location of the control posts and from feedback I got from the athletes this seemed to have worked reasonably well especially on the more rolling terrain in the centre of the map on day 2. My aim selecting control post locations was twofold: Firstly, giving the competitors the chance to move cross country between 2 control posts. In the dense forest and rough underground this needed solid map and compass work, a skill that is sometimes neglected in the age of GPS and Google maps. The second challenge was then to accurately navigate into the control circle from a safe attack point. The post itself was to be located at a definite location such as a spring, hill top or re-entrant which was equally clearly marked on the map. With the difficult terrain surrounding many controls, to accurately approach it without loosing time again needed solid compass and map work. Even the neglected skill of counting steps might have come in handy. 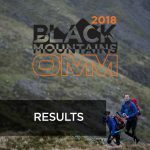 Again, feedback from competitors seemed to be positive that a navigational challenge was appreciated and an integral part of an OMM, as long as the map is accurate and the post is in the right place. On the other hand this can also lead to frustration if a team could not locate a check point but this is part of an OMM also. Be assured that we take the setting of the control posts very serious. It took Stuart and me around 45 minutes to accurately place control 81 which was one of the more difficult ones. It might have been only around 300m from the nearest track yet we cross referenced the position walking into the control from 3 different attack points counting steps on a bearing to get it right. This control was definitely on the right place. Most of the other more difficult control post locations we either put out in with teams of 2 or had it checked by another member of the hill team after placing it. This we will increase further for next year’s edition. And lastly, I hope you forgive me the location of control 72: seeing those 2 rock pillars during the recce, and noticing that they were clearly marked on the map as well as scaleable, I just couldn’t stop myself from placing 72 right on top of it. Here is a quick note on the location of the finish line on day 2 and the subsequent last minute change in the course. This is one of the realities of organising an outdoor race: while the hill team would like the start line/finish line/overnight campsite in the most amazing and remote location, the logistics team would prefer something like the lobby of the hotel/train station/check in area of an international airport. You get the drift? These locations are always a compromise between course wants and logistics requirements. Originally we thought to put the finish line inside the ski stadium: an iconic location right at the edge of town. However, Jürgen organized us the perfect logistics base in the town’s event centre, with toilets, assembly hall, catering, basically the whole lot. This was the deciding factor to locate the finish there as it was simply the best place considering all angles. However, this then necessitated to cross a frequently used railway line as well as a busy road. Having competitors all charged up for a final sprint dashing across a railway crossing just in front of an approaching train was just a little bit too much of a risk for me. Therefore it was decided to time out the section between the railway and road crossing, but leave the finish sprint into the event centre timed. However, when we set up shop at the finish line on Sunday a large fire engine parade and exhibition took place on the approach. While some teams might have made the dash across, others would have been delayed by the parade, making the whole section an uneven playing field. Therefore we decided to have the overall timing stopped at the railway crossing. I think this was the best of all the not so good options in these circumstances. Before I talk a little bit about next year’s OMM, I want to mention all the other people in the hill team without whom there would have been no OMM Alps. You all know Dave, the senior of any OMM hill team, although senior does not do him justice. If I am as fit as he is come at his age, I have done everything right. Regarding course and navigation, our thoughts are similar and having somebody with his vast experience to bounce ideas off, I believe makes any OMM course so much better. I wouldn’t want to plan the next year’s OMM Switzerland course without him. After counting on Carsten not only for all recces, but also for collecting controls for the 2017 OMM it came as a big shock when I heard he broke half the bones in his shoulder going down some hill on a tricycle. This cut him out for any physical course work, but I am glad he still joined us guarding busy control 66 near the top of the cable car as well as doing the same with the last control on day 2 at the railway crossing: perhaps an inglorious job that had to be done by somebody. I am glad that Ronny had time to finally join our team. Ronny is not only the current Bavarian State orienteering champion but also a superb runner and therefore destined to collect all these controls in far away places. I think he appreciated the training he got and I am counting on his orienteering skills to put out controls in 2019. A late edition to the team was my friend Claus from Malaysia who then was tasked with troubleshooting any controls before it impacted on the race. Thanks to you all. My 2 young sons Jack and Lukas enjoyed handing out maps at the start and cheering with the bells at the finish and Jack now is raring to hit the age when he himself is allowed to compete in an OMM. And lastly there is Jürgen and his team who did all the jobs that are needed behind the scenes to make an OMM possible, most importantly getting us the permission to use this fantastic area, but also looking after all those nitty gritty jobs of finish line management, event centre, food and accommodation…. The list goes on! Peter and Dave (yes, same names) of the timing team did a fantastic job, expressed through the fact that there names weren’t mentioned because there were no problems with timing. Now it is time to look forward to next years OMM in Switzerland. I have already procured the maps of the area and I am impressed how accurate the Swiss topo maps are. With this in mind, I hope I can continue with the approach of the 2018 OMM of coming up with challenging control post location that put emphasis on map and compass work. I have already very high expectations of both the map and the course I imagine. I also noted that the terrain we are looking at is at least as steep as Garmisch, meaning equally impressive big heights and big vistas, even it this means the price you have to pay for this are again the long climbs and knee buckling descends that puts the Alps into the OMM! See how everyone is training for this years race on Strava. You can arrange lifts and ask advice in the Competitors Group.